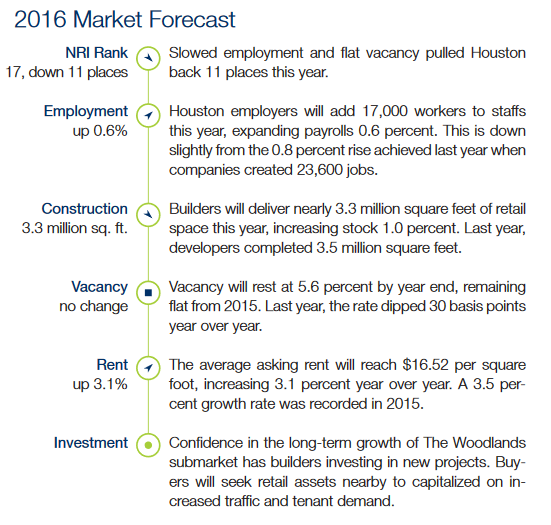 HOUSTON - The new 2016 Retail Investment Forecast Report for the Houston area and the U.S. from Marcus & Millichap. Included in the report are U.S. and Houston retail sales growth, completions, vacancy and rent ($/SF, NNN). ​To see more reports, visit Houston's Retail Market Research. For the full U.S. 2016 report, click here.